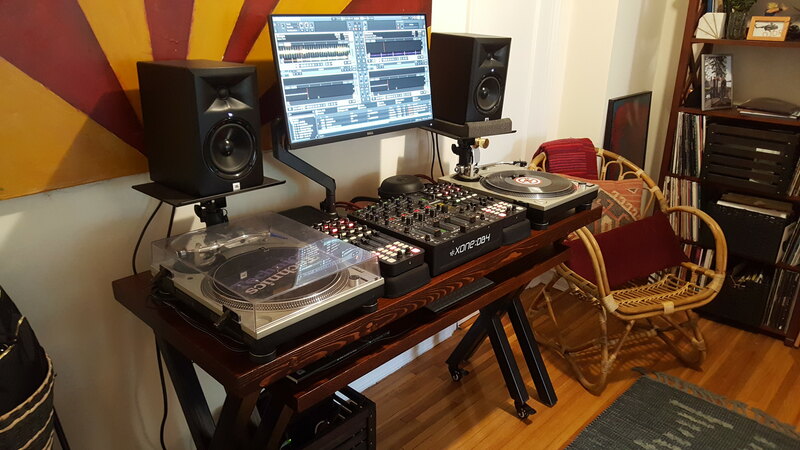 I needed to find a way to squeeze all of my DJ and Production hardware into one space. I was unable to find anything online that exactly met my needs. 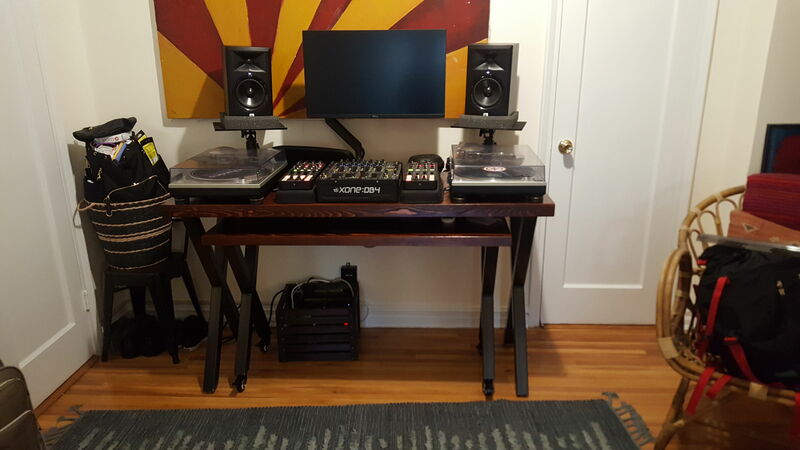 So I opted to build two desks, the lower of which is mounted on casters and can be rolled under the larger desk. Last edited by DJ DR; 07-03-2018 at 12:01 PM. That screen arm is a thing of beauty. Wow, really cute setup! I'm trying to do something kind of similar in a small space, although I don't really have woodworking skills or equipment so it's all going to be IKEA I think. Are your monitors sitting on a pair of these On-Stage desktop monitor stands? Cffspp - Those are the same monitor stands I am using. 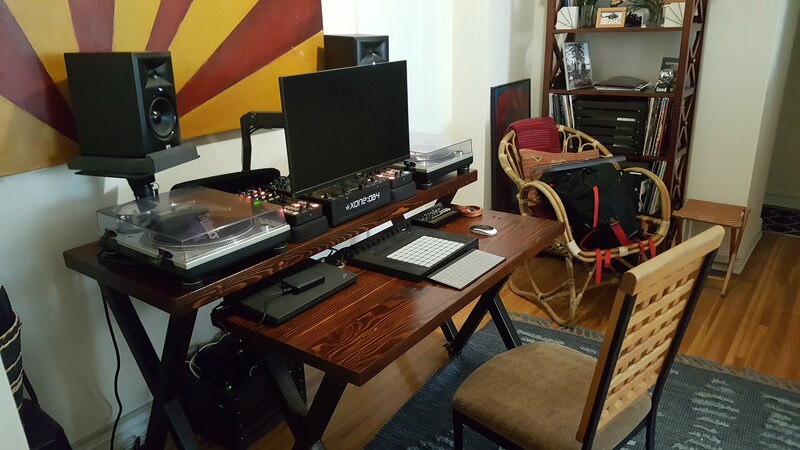 With respect to woodworking, I designed the tables to involve very little of it during construction. I purchased two table tops from a lumber yard that only required some sanding, stain, and clear coat. Then I just screwed metal legs to the bottoms. Finally I attached the monitor arm and two small plastic shelves (almost like gutters) to the underside which can be used to hide wires.